The lineup includes Mini Pro and Air Flo controllers for PS3 and Xbox 360, and a Pro Pack Mini Plus controller set for Wii. The Air Flo wired models are equipped with soft-touch grips, built-in fan with two speeds to keep your grip cool during your long gaming sessions, dual rumble motors and have an illuminated vents and action buttons. The Xbox360 version is priced at $34.99, while the Playstation 3 model is set at $39.99. The Mini Pro Controllers come in a smaller form factor, reverse analog sticks, dual rumble motors and LED illuminated action buttons that glow in the color of the controller. The PS3 model also features motion sensing technology that works with SIXAXIS compatible games and will cost you $39.99, while the Xbox360 has also an audio jack for headset connection and cost $29.99. 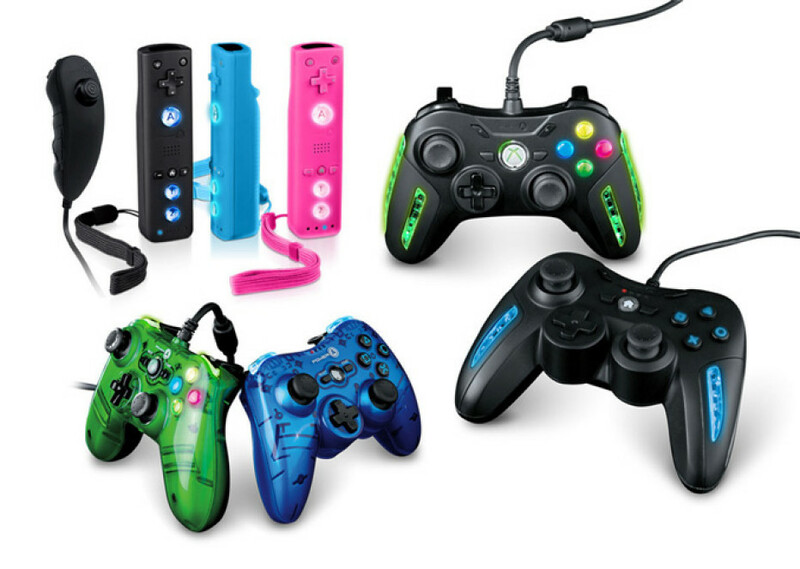 As for the Pro Pack Mini Plus Controllers for Wii, they are set at $39.99, available in Black, Blue or Pink and offer glowing action buttons, a larger A, 1 and 2 buttons, 20% smaller MiniRemote. The new POWER A controllers are available now.